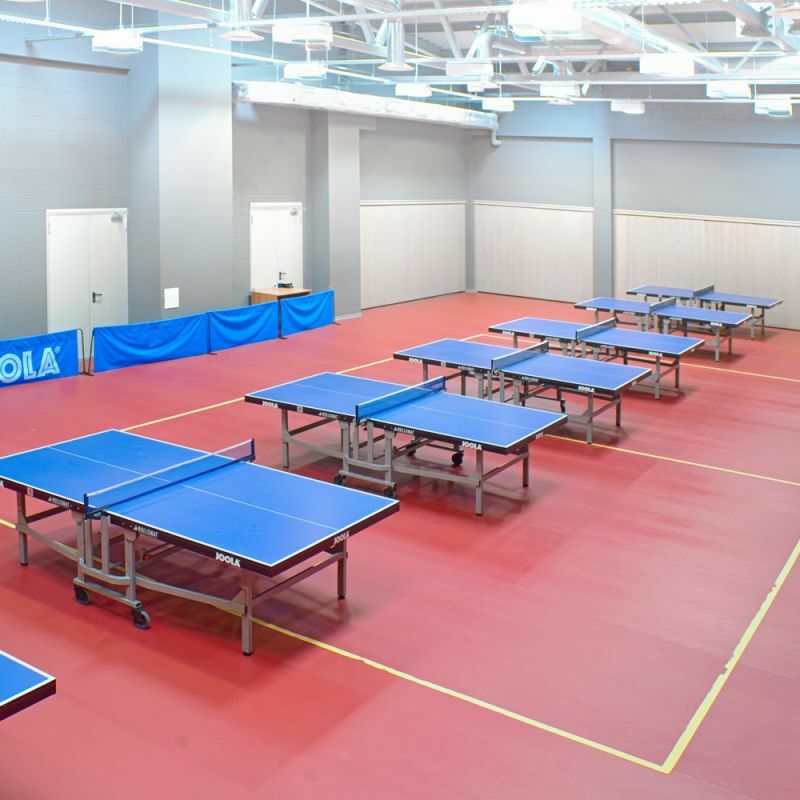 This hall is equipped with boards and eight „ JOOLA” tables, which are certified to ITTF standards and suitable for the arrangement of international competitions. Each table has 25 mm thick surface, which can be adjusted and wheels for convenient transportation. The main asset of the hall is „the GERFLOOR” flooring. This kind of flooring is used by all international ping-pong organizations throughout the world. This Ping-pong Hall within the Liepaja Olympic Centre is the only one in Baltic States with such modern equipment. The Ping Pong Hall is also equipped with gymnastics walls and benches which can be easily transformed in to a stand for spectators. By moving the sliding walls and removing the tables the hall links up with first floor vestibule and forms a total area of 775 m2 big. This area is suitable for large scale events: concerts, seminars, exhibitions and other. Sound and lighting equipment is available on request.